As an international executive coach and leadership consultant, Dave Schoof helps executives and leaders navigate complexity, communicate more effectively, build trust, deal with cynicism and resistance, and improve personal effectiveness. Dave has worked with senior leaders in international business, government and non-profit sectors. Dave currently owns his own coaching and leadership consultancy with offices based in Lausanne Switzerland and the Boston area in the US. Previously, he worked with the global consultancies Axialent and Booz Allen Hamilton. Prior to life as a consultant, he had a 19 year career in the US government specializing in national security issues. 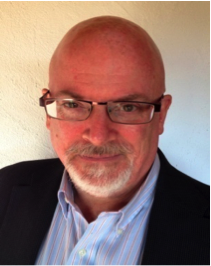 Dave has experience in working with leadership issues in consulting services, telecom, pharmaceuticals, financial services, government agencies, NGOs, start-ups and nonprofits. His clients include BCG, 3-Spot, Novartis, Danone, The World Health Organization, The UN, Nestlé, ACC of New Zealand, AXA, UBS, Associated Press, NASA, Unilever, Google, Mandiri Bank of Indonesia, Human Rights Foundation, Booz Allen, Microsoft, Yahoo, and Astra Zeneca. Dave is certified at the mastery level with the International Coach Federation. He has been on the faculty at two renowned international coaching schools and has served on the board for certifying professional coaches. A long-time meditator, Dave has taught meditation classes and led retreats. He enjoys finding practical ways to operationalize the wisdom from various traditions into his work with leaders. Dave is married and lives in a small village near Lausanne where he enjoys hiking and photography. He is re-living the challenges of learning by being a beginner in horseback riding and the French language. Leaders, both individually and in teams, want to do be effective and inspiring in leading their organizations. What consistently trips them up is not the technical aspects of their job. It is the human dimension where they are challenged. Most feel ill-equipped to handle the complexities. I help them learn how to navigate this and to develop what it takes to lead.